Brit-pop superstar Robbie Williams will electrify the City of Sin with the sounds of his platinum-certified hits when he takes to the Wynn Las Vegas stage during his first ever residency, spanning six nights in March 2019! Suiting and coiffing up for the occasion, Williams draws upon the old world glamour and magnetic charisma of rat pack-era crooners for his latest big band-tinged album Swings Both Ways and is sure to pull out his greatest hits tunes alongside unique takes on songbook standards. After saying goodbye to the restrictive boy band stylings of Take That, Williams found solo fame thanks to a stream of successes on both sides of the pond, beginning with his breakthrough debut 1997 album Life Thru A Lens and the subsequent success of the single and iconic video for Rock DJ. His enviable catalogue of iconic songs include Angels, Let Me Entertain You and Millennium amongst other memorable musical moments, so dust off your glad rags and join the rule-breaking frontman as he charts his stellar career hit by pop culture-defining hit. 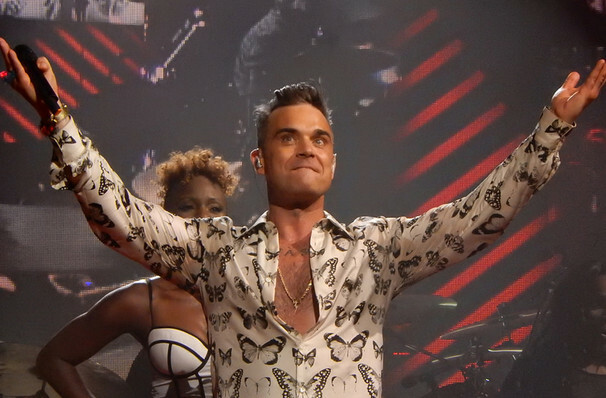 Seen Robbie Williams? Loved it? Hated it? Sound good to you? 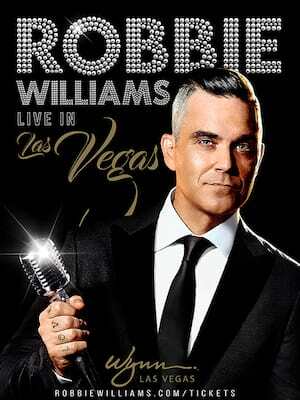 Share this page on social media and let your friends know about Robbie Williams at Encore Theatre. Please note: The term Encore Theatre and/or Robbie Williams as well as all associated graphics, logos, and/or other trademarks, tradenames or copyrights are the property of the Encore Theatre and/or Robbie Williams and are used herein for factual descriptive purposes only. We are in no way associated with or authorized by the Encore Theatre and/or Robbie Williams and neither that entity nor any of its affiliates have licensed or endorsed us to sell tickets, goods and or services in conjunction with their events.